DS: I’m Doug Smith. I’m lucky to be here with my good friend George Dobrowolski whom I’ve had an opportunity to work with and teach with and talk with many times at conferences over the years. We’re going to talk with George about the history of thin films from his perspective, which is a little bit further north than most of ours, from Ottawa, Canada. George always introduces himself to his students in classes as a civil servant. I always think that is a very humble introduction because George has published over 150 papers in proceedings and in refereed journals, 67 in the OSA alone. That seems to me like a “super civil servant.” I have a bunch of questions, and we’ll just sort of feel this out as we go along. The first question is: you weren’t born in Canada or the U.S. either? You were born in Europe. JD: I was born in Poland, and I don’t mind telling people that I was born in 1931, which makes me quite old at the moment. I spent the war years in Poland. After the war, my father (who was in the Polish army in Great Britain) brought my mother and me over. I’ve been in England since 1947. I attended grammar school in England; I went to college, and I finished university studies at the Imperial College, at the University of London. My supervisor was Professor Walter Welford - Weinstein, as he was known in those days (a very well-known and famous optical physicist at Imperial College). I was his first PhD student. DS: You were his first student? Dr. Welford? JD: Yes. In 1955 I was offered a post-doctorate fellowship to the National Research Council of Canada in Ottawa. I left London fully expecting to get back to London in two years’ time. But after one year at the National Research Council, I was offered a permanent position there. In fact, in one form or another, I’ve been at the National Research Council to this day. I’ve never known a different employer. DS: That’s rare and amazing. This is the Dr. Welford who was interested in aberrations I believe? That was his claim to fame? DS: Somehow you went from aberrations to thin films? JD: Well, actually it was more logical than it looks at first. He was a very good lens designer. He realized in those days, that if you could use aspheric surfaces, you could correct aberrations much more easily than you could do with spherical surfaces alone. I was interested in optical thin films, and he gave me a task to find a method of making aspheric surfaces by evaporation. That was, in fact, the aim of my thesis: ” Aspherization by Vacuum Evaporation”. He and I discussed the process. We discovered that we could make very thick zinc sulfide layers. We designed a piece of apparatus. After the design, he left for a one-year stay at the National Bureau of Standards, in the States. So, I was left alone to do the work, which was very good. But, because zinc sulfide has a high index and it was deposited onto a glass substrate, antireflection coatings were required. This was my connection with optical thin films. So, yes: aspherization, but also optical thin films. DS: So you were doing optical thin films on the side, during your PhD? JD: It was part of the project, and I liked it very much. DS: It intrigued you. Some work had been done by John Strong? JD: John Strong, in the 1930s, did vacuum aspherization by parabolizing spherical mirrors, but he was using aluminum. Aluminum of course was opaque. Our desire was to make aspheric refracting elements, hence the need for the antireflection coatings. DS: So when you went to work for the NRC, did you start working right away in optics in general, or specifically in thin films? JD: Optics in general. My supervisor, Dr. Baird, who much later happened to be the President of the OSA for one term, suggested that I build a special interferometer. However, after half a year’s study, we came to the conclusion that this interferometer was not very realistic. After that, he said, “Well, what would you like to work on now?” I said, “I’d like to come back to optical thin films.” Since that time, in essence, I’ve had a free hand to do optical thin films at the National Research Council—with no one interfering with me or telling me what to do. I’m sure that if I hadn’t had some good results, I would have been set straight very quickly. DS: So this was in 1956? JD: I arrived at the NRCC in 1955 and in 1956 I became a permanent employee. DS: Who else near you was doing thin films? JD: My closest neighbor was not in Canada. There was no one specializing in optical thin films in Canada at that time. My closest neighbor was Philip Baumeister at the University of Rochester. He invited me on a number of occasions to give lectures at his summer courses, which he held even in those days in Rochester. In return, I invited him over to Ottawa. He has been a very good friend and also had a big influence on me. Philip Baumeister was a very generous person. He had written the first thin film computer program for analyzing and later also for optimizing optical thin film systems. He gave me a copy of his program, which was run on an IBM 650 computer in those days. Problem was, that it was written in a language called “SOAP.” This language became soon obsolescent. I had become very dependant on this program, and that is when I started to write my own software. I learned a lesson and used Fortran for all my codes; Fortran is still around. DS: Yes, it is. People won’t let go of that. So that was the early 1960s as well? JD: My first project at the NRC was making very narrow band thin filters. I made interference filters out of mica, and I was able to achieve widths of half an Angstrom or so in those days. The computer work that I got involved in after that was linked in a way to the narrow band filter project. I had found that these filters were very good except that, like for all other interference filters, the angular field was very limited. I had hoped to do some calculations to widen the angular field. I wrote a computer program called “START” that did not assume any starting design. It was completely automatic and was very successful. However, I never go around to applying it to that particular problem. DS: So right from the beginning you were optimizing. JD: Oh yes. I was not only optimizing, I developed a comprehensive search method that searched a rather large parameter space for the thicknesses and indices of layers that would give a solution to a problem. Or, if the problem required more layers, I developed a procedure called the gradual evolution method, which gradually increased the number of layers in order to increase the number of parameters to find solutions to problems that were too large to be handled by the comprehensive search method, which is quite time intensive. DS: And this was still early on in the 1960s? JD: The final paper on this topic was actually published in 1965. DS: Meanwhile, I don’t know if Phil was doing automatic optimization? DS: You were, in a sense, way ahead of the capability to make the films. JD: Absolutely. We were able to design quite complex filters and find solutions to complicated problems. This was true of Philip as well. The solutions used non-quarterwave layers. In those days, not many people attempted to deposit layer systems composed of non-quarterwave layers because they were difficult to monitor. I developed other numerical design methods after that as well. For example, the minus filter method, which was based on work that Alfred Thelen had done. I had a version of the flip-flop method, which was first developed by Bill Southwell, and which had several modifications that made it a bit more versatile for our purposes. Then I had the good luck to have a good summer student with whom we developed a numerical Fourier transform method for thin film design. This was a method that found the refractive index profile of inhomogeneous layers that had a spectral performance that was very close to the desired performance. These inhomogeneous layer solutions could, in turn, be translated into homogeneous layer solutions or even reduced to two-material solutions. This was the first method that enabled us to say that we can now design spectral filters with almost any spectral reflectance or transmittance characteristics. DS: When you were doing this work (because you are so far ahead of your time), did you ever get discouraged because you thought that there would never be a technique by which we could realize the results of this work? Or did people discourage you and say, “forget it”? JD: We started working on implementing these designs. First, we needed to be able to monitor in some fashion a non-quarterwave layer system. We built a piece of apparatus at the NRC in which we had two substrates: one for the monitoring and one that would carry the final layer system. They were next to each other, and they were both stationary. In front of the substrate was a rotating Japanese fan whose opening could be opened up so that it transmitted different fractions of the vapor that was incident onto the monitoring substrate. We also had a source arrangement that was rotating. This was the inverse of the usual arrangement in which the source is stationary and the substrate is rotating. By adjusting the opening of the Japanese fan from the outside and spinning it in front of the substrate we were able to monitor non-quarterwave layers using a quarterwave monitoring method. DS: A fractional quarterwave optical monitor? JD: Yes. This was our first attempt. Then we developed another method that was based on level monitoring and which we called the most sensitive wavelength monitoring method. We made appreciable progress in this, and we were able to make some filters. But it was difficult. We then started thinking about how things could be automated, how things could be done properly. Early 1976, I believe, I published a proposal in Thin Solid Films about a process in which there would be continuous examination of the performance of the layer system as it was being built up and re-optimization of the remaining layers in order to correct for any errors that were made during the deposition of the earlier layers. This was a very nice proposal, but we waited until we had very stable deposition processes, which would make this much easier to implement. That came when magnetron-sputtering systems were developed. DS: In 1976, did that include wide-band monitoring? DS: But by different means than we might use now? JD: Yes. In those days we had a monochrometer that we converted into something that was almost equivalent to a spectrophotometer. We designed and built a correction filter composed of non-quarterwave layers which, when placed in line with the light source, together with the dispersing elements and the detector, gave us a more or less flat response. So we were able to measure, after the deposition of each layer, the approximate transmittance spectrum of the system. DS: It was sort of like pulling yourselves up by your bootstraps? DS: You got better at doing that, and then you could make a better color compensation filter. I saw some very early papers about color compensation filters. Had thin films pretty much been started because there was an establishment in the industry at Bausch and Lomb and American Optical by the time you had come to Canada? JD: By the time I came to Canada there was already a very strong optical thin film industry in the United States. During the war there were two very prominent workers in the field who, in my view, are the fathers of optical thin film in the States. They were **** Denton, who was President of this Society, and Dr. Francis Turner, who was at Bausch and Lomb and who was really a wonderful person in all respects. In thin films, there was little that he hadn’t done before. He also was a very generous person. I consider him to be a mentor of mine. When I was writing an article for the first edition of the Handbook of Optics for the OSA, he very generously gave me access to all of his papers and reports that he wrote on the various military and Air Force projects on which he had worked and which were declassified. I noticed that he had anticipated a lot of work that was later published by other people. Dr. Turner was a real pioneer. DS: Did you work with him much when he was in Rochester? JD: No, not at all, except that I visited his laboratory. However, I had constant contact with Philip Baumeister. When I first met him, I was in awe of him. I thought that his paper on optimization was such a break-through. Other people from my generation for whom I have a very high respect are Alfred Thelen and Angus Macleod. These are the people who I felt were giants in the field. DS: You mentioned before we started taping that there’s a first generation and second generation of people. Many of these people you are talking about are actually second-generation people. JD: That’s correct. And there are so many more that I should mention. But those are the ones that I always looked up to. DS: During those early years, did you feel like you were working in isolation? JD: Yes. In Canada at the time there was no optical thin film industry. In fact I had thought that perhaps my career would be deemed to be successful if I could help establish a thin film industry in Canada in some fashion. I think I can say that this has happened. But in those days, my closest neighbor was Philip Baumeister in Rochester. If I wanted to talk to someone or visit someone, he was the person. DS: That’s a little bit of a drive from Ottawa! JD: That’s correct. But he was my closest thin film neighbor. Right now I have, of course, many more colleagues in Ottawa who are very good and whom I feel privileged to be able to collaborate with. Outside the United States there were many other people who were very prominent in our field. In Germany the people whom I looked up to were Professor Schröder, Professor Pollack, and Dr Geffcken who wrote an excellent handbook article on optical filters. I will never forget it. Pollack wrote a number of excellent review articles on various other thin film topics. In other countries too there were important workers. DS: This was during the Cold War? You probably didn’t get much communication with family and friends back in Poland nor did you have much communication with what was happening in Russia in that period. Later on you discovered what was happening there? HK: It so happened that after the launching of the first Sputnik, the Optical Society of America became very interested in translating the journal Optika i Spectrokopija into English. They solicited help from the membership for translating this journal. I did not know Russian, but I knew Polish. I did not know the Russian (Cyrillic) alphabet. But I attended five 1-hour lectures on “Russian for Scientists” at the NRCC. On the basis of this, I sent my name to the OSA and, me to my surprise, they accepted me. I was told that the most important attribute of a scientific translator is to know the subject well. The second most important attribute is to have a good command of the language into which he is translating because, if you translate correctly but in an awkward manner, the readers will not have much confidence in the translation. So, for seven years I was translating articles on thin films from Russian into English. This had several benefits for me — not monetary (the pay was only $7 per page) — but I learned Russian well enough so that at the end of the 7 years I could pick up an article on optical thin films and understand it without the use of a dictionary. That is also where I got an early insight into the work that was being done in Russia, and there was some important work going on there. DS: I know. You have shown me articles written by Sossi that had an impact on some of your own work, especially with the Fourier transform work. Is that where you ran into him? JD: Yes, indeed. Sossi was student of Paul Kard, a professor at the Tartu University in Estonia. Some of Kard’s early papers were written in Estonian and were completely incomprehensible to all of us. Philip Baumeister was a big fan of Kard who was a mathematician and who wrote a book that gave an excellent insight into the theory of optical thin films. Fortunately, most of Kard’s papers and those of his students were published in Russian, which I understood. I translated some of these articles. In fact, I made the translations available through our NRCC library. In one of his papers, with a student named Sossi, they described a method for the design of optical thin films with characteristics of spectral transmission or reflection that could be expressed in the form of an equation that could be integrated. That gave my student and me an idea that we should attempt to find a procedure for the design of filters in which the relationships between T and wavelength that could not be expressed in a closed form. Our contribution to the process was that we developed a numerical method, which could therefore be applied to almost any shape. So I benefited a lot from translating from Russian. I always thought that this was a lesson for me. I’m interested in anything that goes on in optical thin films, in any language, in any country, even if I don’t know the language. There are always diagrams and equations and references that I can appreciate. If it’s important enough, then we do have a translation service at the NRC. DS: It’s a demonstration of how almost any science is collaborative. Pardon the pun, but you are never working in a vacuum. JD: That’s so true. You never work in a vacuum. And, if you do, then you are sentenced to repeating other people’s work, which is a waste of money and a waste of time. I think we should always build on what others have done before us. Also, and this I feel very strongly about and I don’t think all people share my view, we should always give credit to previous work. In my papers I try to reference prior work. I do feel some people don’t give proper credit to prior work, not because of bad faith but simply because they don’t want to take the trouble to do their homework. DS: Nowadays it seems like this is the decade of intellectual property. Somehow the term “intellectual property” seems like an oxymoron to me. Intellectuality can’t be a property of anyone. It’s jointly owned. I should ask you a little bit about the SVC. We’re here at the SVC conference, of course. You’ve mentioned the OSA. These were companion societies in many ways. I know, at least in my career, I met you at OSA meetings, but now I seem to see you more often at SVC meetings. When did you first become involved with both the SVC and the OSA? JD: Because I was alone in Canada, I felt the need to meet with other peers. The natural society for me was the OSA. I arrived in Canada in 1955. Perhaps one or two years later I went to my first OSA meeting, and I remember that it was in San Diego. I slept through an earthquake in San Diego! OSA has always been my first society, no question about it. I have been a member ever since those days, and they have honored me. I have a strong loyalty toward the OSA. In the early days, there were two annual meetings: one in the spring and one in the fall. I used to go to at least one of those every year. In those days there was a very strong thin film component to these meetings, and that is where I met Philip for the first time. I certainly met Alfred Thelen and Dr. Turner and many others there. So, the OSA always has been very important to me. For a long time the OSA had specialty groups that were related to optical thin films; sometimes they were linked with interferometry, and at other times they were linked with thin film materials. I was actively participating in those groups. I was group leader for a number of years and organized special events for the group meetings. 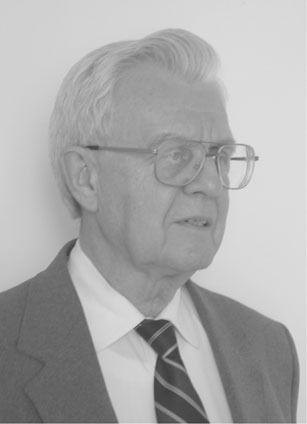 In 1976 or thereabouts, Philip Baumeister took the initiative to organize the first topical meeting on optical interference coatings. DS: That was his idea? It wasn’t you guys sitting around and thinking? JD: No, it was his idea. He asked me to be part of the first committee, and I’ve been on the committee ever since that time. But, it was entirely his idea, and it was a delightful first meeting at the Asylomar National Park. A very picturesque, very cozy and intimate meeting. Those meetings are still going on. In my view they are the best optical thin film meetings and they occur on a tri-annual basis. Everybody amongst my friends tries to go to these OIC meetings. Unfortunately, as far as the annual meetings of the OSA are concerned, the amount of optical thin film content grew smaller and smaller. Recently there have not been enough papers submitted for me to go there: the cost of going to a meeting just to attend maybe five or six papers is too high. Of course, there is also no longer a good audience there for my work. In the meantime the SVC, which was originally a society mostly consisting of converters and aluminizers, has expanded its activities into optical coatings under the leadership of people like Richard Denton. Right now, with Ludvik Martinu chairing the optical TAC, it has become a very strong meeting for optical thin films. The SVC is now the most relevant society for optical thin films in the United States. So, if I wish to meet with my peers on a regular basis, this is the meeting place. I had attended early meetings of the SVC, not as a member, but just as an interested person. Gradually, my attendance became more and more regular. Of course, now I’m here every year. DS: Thin films have started to show up everywhere. In the beginning it was hard to explain the problem that all optical thin film makers have: they are deathly afraid of someone asking them what they do. Used to be you wouldn’t be able to find a thin film. Now in this room there are probably thin films in the lamps and eyeglasses and camera lenses. They’re everywhere. They are on windows in all the houses: a seven-layer thin film in a window in a house is not uncommon. Did any of this ever surprise you? JD: It did not surprise me but there are, I’m sure, many people who are surprised. My colleagues in the university said, when I decided to study optics, “Why would you go into optics? Optics is a science that is more or less well known now; there’s nothing left to do in this field.” Since that time we’ve had lasers, holography, fiber optics, etc. The next question they would ask me was “Why thin films? Again, it’s all been done!” Well, if it had all been done, than what have I been doing during the last 50 years? DS: It’s amazing. In 1980 I had heard some professors say that thin films were not a field where there was any activity. I went back and wrote up a list of titles of PhD theses that I thought would be reasonable for thin films. Of course, here we are now, and it seems like 1980 was a very long time ago. There have been a lot of advances since then. JD: Absolutely. I also think that one of the most difficult things is to talk to a layman and to describe to him what we do. I always say that I work in the field of optical thin films. Practically no one knows what this means, and I think the reason is that our field is very special. The thin films that we talk about are usually a fraction of a hair’s width in thickness. That is something that no one can see. We can only see their effects. People see the effects, but they don’t associate it with optical thin films because they cannot grasp and hold them in their hands. I think that is the reason. DS: The new catch phrases all begin with “nano” something. How long have you been working in nanoscience or nanotechnology? JD: I guess over 50 years! DS: Next year it will be 50 years? JD: Yes, next year it will be 50 years at the NRC. DS: 50 years at one company! That’s quite an achievement. JD: It is not that I did not have any offers from industry. I did. I wrote this computer program which automatically designed thin film systems without a starting design. Perkin-Elmer Corporation became very interested in it, and they actually bought this software. I was at Perkin-Elmer several times to help them implement it on their computers. After a while they offered me a job. I asked the question, “If I had been at Perkin-Elmer at the time and had proposed to spend a year or two writing code like this, would you have let me?” They were very honest and quickly told me “no.” But they were the first to recognize the importance of the final product and they purchased it. I had offers from IBM at one time, but by the time I was ready to give them an answer, the person I was negotiating with had been transferred. Again, I thought that this was not a situation that was stable enough for me to do what I wanted. DS: You have been stable! JD: I have been very stable! DS: Any regrets about not going into academia? Whenever I talk to you I think of you as an academic, more than most people. JD: I’m working for the NRC; this is the research arm of the Canadian government. We are very thinly spread. We have a wide range of disciplines that we investigate. But within the organization we have a lot of freedom to pursue the topics that we are interested in. The NRC is not unlike the National Bureau of Standards in the United States, or the National Physical Laboratory in the United Kingdom. It’s an academic institution, although we are more and more encouraged to do work that will not only be scientifically interesting but that will also bring some financial rewards. We take out patents as well. I have over 20 patents to my name (with my colleagues of course—I am not working alone). DS: Sometime in the mid 1980s I came up to you and asked you if you would teach. I imagine you must have taught before than, but I know that you have taught at the University of Rochester since 1986 I think? You seem great in the classroom. You seem very happy to work with younger people. I have noticed in your lab at the NRC you have had a constant stream of new faces come in, so you are in effect still training people. JD: That’s true. But in a university, you must have a somewhat broader outlook than I have. I am interested in optical thin films. This is more or less where my interests end, except that I like to expand my interest when I see that there are areas where optical thin films may have new applications. But I am really a very narrow specialist. I think that in a university, a less narrow outlook might fit better. I enjoy working with young people. I’ve been very lucky to acquire for the NRC a number of very talented young people, and I’m very proud of them and still like to collaborate with them. But I am really not a teacher. I can talk about my subject fluently; on other subjects - I am not so sure. I want to tell you about something that is not all that related to what we are just talking about: references. I collect references on optical thin films. DS: I have been in your office and have seen it! JD: Well, now I have a database. And that database is approaching 40,000 entries! I haven’t read them all, but I can look at them and search them if I need to. They all have something to do with optical thin films: either constants or devices or theory or something else. It’s very focused onto the one field. DS: 40,000 papers on thin films—that’s amazing to me! JD: This is the point. The first book on optical thin films was published in Russia in 1946, believe it or not. It was called “Prosvietlenie Optiki,” which roughly means “The making transparent of optical elements”—, in other words, antireflection coatings. That was the first book on optical thin films devoted entirely to the subject. Of course, there were other mentions of optical thin films, an article or chapter here or there. But this was the first book. Since that time, it is my estimate that there exist 20 or 30 books that deal with optical thin films, not counting conference proceedings, which are chock full of papers on optical thin films. These books were written by one, two or three authors and they are not collections of articles by different authors. As far as the number of papers is concerned, of course I do not pretend to have a full collection of all of them! The problem at this moment is that there is still so much work to be done that life is just not long enough to do it all! DS: In the late 1970s to the early 1980s, you disappeared a little bit. Do you mind telling us about that? JD: In 1968, the NRC was approached by the Bank of Canada. The Bank of Canada issues bank notes; this is a situation somewhat different than it is in the United States. They were concerned about the counterfeiting of bank notes, as all bankers and central banks are. A delegation from the Bank of Canada was visiting various research establishments in Canada and soliciting suggestions on how to inhibit the counterfeiting of money. Counterfeiting is a serious problem because the currency of a nation is a matter of security. If you compromise the currency of a nation, you can bring down its economy. My colleagues and I thought about this problem and made a proposal. In essence, we decided to exploit an inherent weakness of optical thin films. The inherent weakness being that, when you change the angle of viewing, the spectral characteristics of an optical thin film also change. We proposed that an optical thin film be made part of the bank note. If this particular part of a bank note were then viewed at an angle, it would change color. This is an effect that cannot be reproduced in with color photographs or a color Xerox reproductions. The Bank of Canada had other proposals from other people, and at first they decided to pursue a proposal that was called the “speckle effect” or the “starburst effect.” It involved burning very small holes with lasers in bank notes so that if you looked through these holes you saw certain diffraction effects. This was very interesting and very effective. However, the problem was that the holes made the paper very brittle. The area that bore these laser-burned pinholes crumbled away. So the Bank of Canada came back to us. Fortunately in the meantime a small company called Identicard in Toronto, which was making ID cards and drivers’ licenses for provinces, became quite interested in our proposal. They got an IRAP grant from the government, and with this money we designed and built what was probably the first successful optical roll coater. At the NRC we still have that equipment. We were able to make multilayers consisting of up to eight layers on this prototype machine, which carried a Mylar web that was 1-foot wide, and maybe 1,000 feet long. After the hope of using the speckle effect as an anticounterfeiting measure fell through, the Bank of Canada came back to us. They returned at a very good moment, because we had just run out of money. So we had an influx of much needed new money and engineering help. DS: That was very timely! JD: We persevered with the project and the banknotes in Canada now bear a small gold-looking thin film patch that changes color to green, and even blue, if you look at it at a very oblique angle. DS: That is the same basic design that you suggested at the outset. JD: That is correct. But we suggested nicer colors! We wanted a color change from red to green, but the bankers preferred the gold. DS: Ah, yes. You told me that the first bill was a $100 bill, correct? JD: The first bill was a $50 bill. DS: You used to come to our house, and I knew no one else who carried a $50 bill in their wallet except for you. And you would show me and show my kids and we would all look at it. You told me that they were very popular in the Maritimes with the fishermen? JD: That is correct, especially the $1,000 bills. There were $1,000 bills at one time; they have now been withdrawn from circulation because they were popular with people who launder money. So we don’t have $1,000 bills in Canada anymore. But the $1,000 bills were also a convenient denomination for payment for a catch of fish. DS: During that time you were not allowed to publish papers on this work. JD: That is correct. The Bank of Canada was pretty concerned about a leak of information on this project. I take pride in being able to say that I convinced them to publish the results. At that time I was involved with the OSA and I was leading a topical group on optical thin films. We had evening sessions, and I organized a session in which about five or eight of my colleagues were given an unknown multilayer system that they were to analyze by any means available to them to find out what it consisted of. They only knew that there were about five to six layers in the system. The only person who knew the exact parameters of the layers was Verne Costich, and this is because he made them. Verne was sworn to secrecy. Everybody got a sample of this multilayer to analyze. Most of my colleagues found all the layers that were in this multilayer. In my lab we went even farther. We did not carry out any destructive tests; we just made spectral transmission and reflection measurements of this device at various angles of incidence. We were able to, not so much decide what the layers were, but come up with an equivalent design. This was even more dangerous. This exercise was written up in Applied Optics and I showed the resulting paper to the Bank of Canada. I told them that the moment that the bank notes are in circulation, anyone with access to a laboratory with ordinary analytical facilities would be able to tell precisely how many layers the security devices consist of, their thicknesses and what they are made of. You see, not only did my colleagues correctly identify all the layers, but also some even found contaminants that were not intended to be there. The Bank of Canada recognized the validity of this argument. The security of the device is not in the secrecy of the layer structure but in the economics of reproducing it. This is by far the best security that you can have. DS: Have other countries adopted a similar technique? The U.S. has an optically variable ink that is applied by printing. JD: Yes. The device on the Canadian bank note is, I believe, the most secure embodiment of our idea because, in addition to showing a color change, it also has a very specular reflectance that is visible to anyone at a glance. In this form it is not used by any other country. It was also in use for a little while on some Canadian drivers’ licenses. But our colleagues at the Optical Coating Laboratories Inc. came up with another idea. Their attempts to reproduce our results did not succeed because the coatings broke up, but somebody had the bright idea to use the broken up coatings to prepare an optically variable pigment. This was implemented and this product is used right now not only on U.S. currency but also on the currencies of some 60 or more other countries around the world. It has been used on various ID cards, and it has also been used on stamps. DS: So thin films are truly everywhere. You’ve seen a tremendous change in technology in your career. JD: I’ve lived too long! DS: From machines where a bug was truly a bug in a relay (you said an IBM 360 was your first machine), to a machine like our portable computers that have much more power than those machines ever had. It seems that you have kept on the cusp and always made use of that power. DS: Has that changed drastically how people should study and understand thin films? JD: No. I think that if you can really give them a good basis of the theory, then they will use the powerful machines and programs that we have more intelligently. I think you should continue to train them the way that you do. Computers are so powerful now. As you know we have used them lately to automate the deposition process completely in our laboratory so that you can go away and come back the next morning and take out the finished product. When you open up the chamber, the system is not only ready; the equipment was making measurements during the deposition process. If it detected any errors, it re-optimized the remaining layers of the system, and so on. The computers are so powerful that they will always be useful to us. But you can use them much more effectively if you know the basic theory of optical thin films. This will always be important. DS: So people will not stop going to school. Sorry to all the folks who were hoping to skip school because of computers. What do you see in the future? You have seen so many developments in the last 50 years; maybe you have a good idea of what the future holds? JD: I came into this field when it was very difficult to design multilayers with arbitrarily defined spectral characteristics. We just had to be content with what was possible with quarterwave layers. We broke that limitation and were able to design programs that enabled us to design almost anything within reason (as long as any laws of physics were not broken). But we were not able to do implement such coatings at first because the solutions were so complicated. We then worked on deposition processes in order to be able to implement these complex systems. We have now come to the stage where we can say, “Yes, if you have the most modern equipment, you can make almost anything.” Systems that we once thought were just interesting paper solutions can now be manufactured. We had a very interesting session in Banff at the last OIC meeting. There was a manufacturing problem at that conference in which a rather complex spectral filter was to be produced experimentally. 11 contributions from six laboratories were submitted and all had very close to the required performance. This is the present state of affairs. As far as the future is concerned, I am convinced that the present limitations to further progress are the materials that we have at our disposal and the current measurement accuracy. In the future I am hoping that measurements will become more accurate which should enable us to push the manufacturing process a bit further. I am also hoping that the very definite design limitations that we have, due to the available coating materials will also be overcome in the future. I believe that will be able to make materials specially to meet special requirements for designs that we cannot produce now at all or not without the use of a large number of layers. I think the next step will be further developments in the manufacture of synthetic materials that we can use in optical multilayers. DS: This will open up a whole new world. Well, I think that it is probably time to wrap up. Thank you for this opportunity to talk with you. Do you have a closing thought? JD: Thank you. My closing thought is that we need to remember that there are very many, many people who have contributed to this field in all countries. Let us always remember that we are building on the efforts of other people and let’s be humble about what we do.